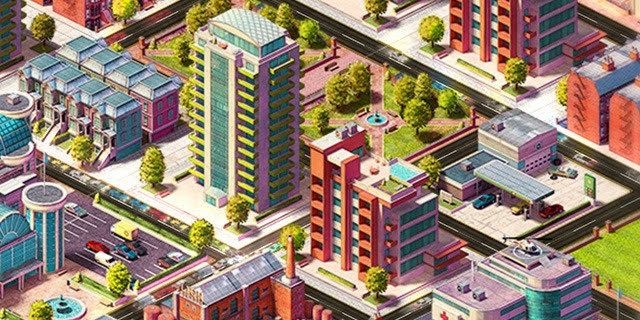 Concrete Jungle is a new take on the city building game that swaps micro management for deck-building and extra servings of strategy. The game combines the simple but satisfying mechanics of a tabletop deck-building game, the intricacy and accessibility of an indie title, and the variety and depth of a collectible card game. You use cards in your deck to place buildings, clearing city blocks to give yourself more room to build. As your city grows you'll get opportunities to hone your deck, but the game also gets harder. I reached out to the games Developer Cole Jefferies of ColePowered Games after being intrigued by what is set to be an absolute blast of a game, he was kind enough to answer a handful of questions too! Thanks for doing the interview, I know you’re pretty busy at the mo, so just to get started can you tell the UK listeners who you are, How did you get started in the industry? realise I could actually do this and perhaps make a living eventually. decisions rather than a traditional city building game. What was the hardest challenge when designing the game? How much time have you punched into the development? three years, but that time has been split with other smaller projects. now, has taken about five months of hard work. Wow, there's so many! I've been an avid PC gamer since the 90s. building is the ideal mixture of that. scene specifically, FTL remains my firm favourite. There are a lot of indie studios around the globe right now, what's the community like? Do you support each other? part of it. So far though, my experience has been extremely positive. even for free, which is incredible. The indie scene is stronger than ever. Cole's Kickstarter for Concrete Jungle runs until November 26, and although the game has already tripled its target AND already greenlit for Steam, get yourself over to the kickstarter page now and take advantage of some of the great rewards for backing.